Now that Auction of IPL 2019 if finished, teams are reformed. Some teams have made big changes in their squad while some's IPL 2019 Squad list is not much changed. Here we are taking a brief look at the IPL 2019 Team squad list. IPL 2019 will be starting soon and we can see the craze and excitement in among cricket fans all over the world. Every IPL fan is eager to know that when will happen these matches, what is the final IPL 2019 Team squad list? As we know Chennai Super Kings didn't make a big change in their squad. CSK retained almost all of their players. They released just three of them. 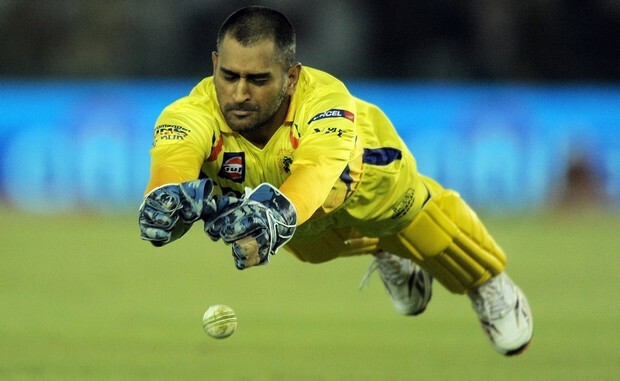 That means there are not many changes in CSK's IPL 2019 Team Squad List. Opposite to that, Kings XI Punjab released the most number of players in IPL 2019. So this Auction was a big one for KXIP, which means KXIP will come with completely new IPL 2019 Team Squad List. We all want to know in Auction IPL 2019 Who went where? Who was the costliest player in IPL 2019 Auction? Who went unsold in IPL 2019 Auction? Well, you will get the answer of all these questions one by one. So scroll below for the IPL 2019 Team Squad List. This Auction of IPL 2019 was a complete package of surprises. Many big names either went unsold or struggling to get sold and finally got sold on base price. But there are some new players added in the IPL 2019 Team Squad List and got big bidding. 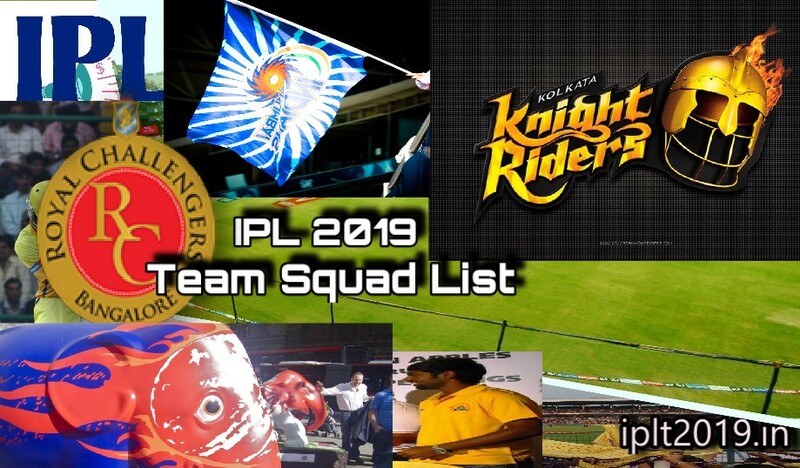 Here is the complete IPL 2019 Team Squad List one by one. RCB earlier retain 15 players and had left Cap salary: Rs.18.15 Cr. Royal Challengers Bangalore have shown trust in an uncapped players Shivam Dubey. Apart from Shivam Dubey, RCB added another expensive player in their IPL 2019 Team Squad List which is Shimron Hetmyer. Hetmyer has shown his talent in the recent series with India. 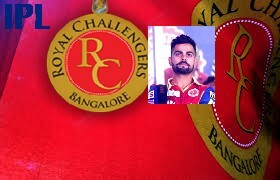 Players Bought in IPL 2019 Auction: Royal Challengers Banglore bought total 8 Players and added them to RCB's IPL 2019 Team Squad List. So that is IPL 2019 Team Squad List of Bought players buy Royal Challengers Banglore. Chennai Super Kings didn't make many changes in there IPL 2019 Team squad list. Mohit Sharma is being united to CSK after 4 years. They bought total 2 players who added in CSK's IPL 2019 Team Squad list. Mahendra Singh Dhoni, Ravindra Jadeja, Suresh Raina, Murli Vijay, Faf du Plessis, Shane Watson, Dwyane Bravo, Kedar Jadhav, Ambati Rayudu, Lungi Ngidi, Sam Billings, Harbhajan Singh, Mitchell Santner, Davi Willey, Imran Tahir, Deepak Chahar, KM Asif, Karn Sharma, Shardul Thakur, Monu Kumar, Chaitanya Bishnoi, Dhruv Shorey, N jagadeesan. Here comes the IPL 2019 Team Squad List of Mumbai Indians. 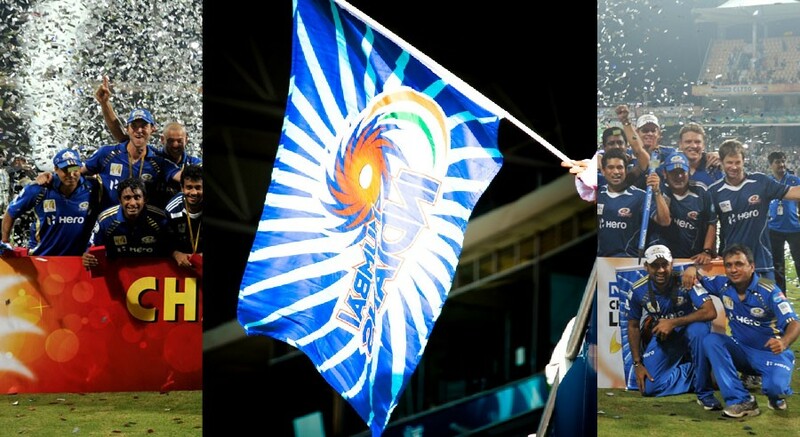 Mumbai Indians is the only team which has won IPL three times. So after Auction of IPL 2019 here is the IPL 2019 Team Squad List of Mumbai Indians. So that is the IPL 2019 Team Squad List of Rohit Sharma led and three times champion Mumbai Indians. Rohit Sharma, Hardik Pandya, Jaspreet Bumrah, Krunal Pandya, Ishan Kishan, Mayank Markande, Suryakumar Yadav, Rahul Chahar, Aditya Tare, Anukul Roy, Siddhesh Lad, Kieron Pollard, Ben Cutting, Evin Lewis, Michell McClenaghan, Adam Milne, Jason Behrendorff. Also Bought Quinton de Kock from RCB. 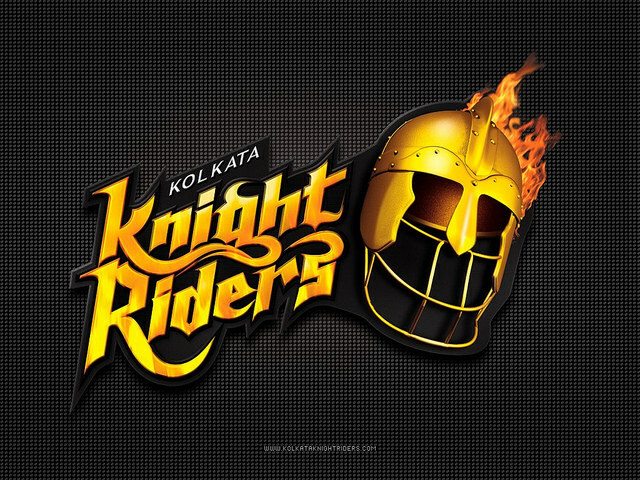 Shahrukh Khan Owned, Kolkata Knight Riders has made some wise purchase in IPL 2019 and also added Carlos Braithwaite in their Carlos Braithwaite IPL 2019 Team Squad List, who is a great quick run scorer batsman and also good with the bowl. Dinesh Karthik, Robin Uthappa, Shubham Gill, Piyush Chawla, Kuldeep Yadav, Prasidh Krishna, Shivam Mavi, Nitish Rana, Rinku Singh, Kamlesh Nagarkoti, Chriss Lynn, Andre Russell, Sunil Narine. 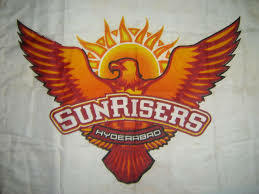 Like Chennai Super Kings, Sunrisers Hyderabad also did not make a big change in IPL 2019 Team Squad List. They bought 3 players from IPL 2019 Auction and added them to their IPL 2019 Team Squad List. Also, they traded Three players Vijay Shankar, Shahbaz Nadeem, Abhishek Sharma in exchange of Shikhar Dhawan from Delhi Capitals. Bhuvneshwar Kumar, Basil Thampi, Deepak Hooda, Manish Pandey, Sandeep Sharma, Ricky Bhui, Siddhartha Kaul, T Natarajan, Shreevats Goswami, Khaleel Ahmed, Yusuf Pathan, Kane Williamson, David Warner, Billy Stanlake, Rashid Khan, Mohammad Nabi, Shakib Al Hasan. Rajasthan Royals Released Jaidev Unadkat whom they bought last year for 11.40cr and then again in the Auction they added him IPL 2019 Team Squad List for 8.40cr. Ajinkya Rahane, Sanju Samson, Shreyas Gopal, Krishnappa Gowtham, Rahul Tripathi, Aryaman Birla, S. Midhun, Prashant Chopra, Stuart Binny, Ben Stokes, Jos Buttler, Steve Smith, Jofra Archer, Ish Sodhi, Mahipal Lomror, Dhawal Kulkarni. For Kings XI Punjab it was not just a mini Auction, it was like a mega Auction for them. They bought 13 players and added them to IPL 2019 Team Squad List of Kings XI Punjab. 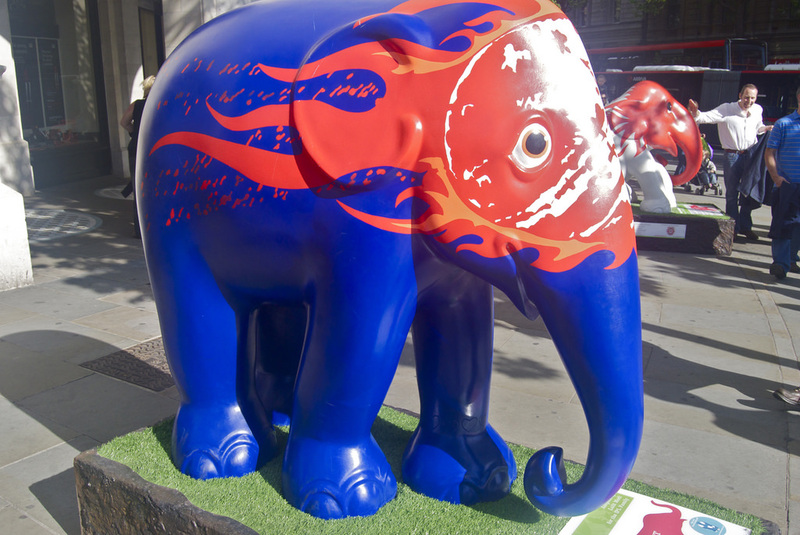 One of the most surprised biddings was Varun Chakravarthy who was bought for 8.4cr. by Kings XI Punjab. KL Rahul, Ravichandran Ashwin, Chris Gayle, Mayank Agrawal, Karun Nair, David Miller, Andrew Tye, Mujeeb Ur Rahman, Ankit Rajpoot, Mandeep Singh. Dehli Capitals which used to be Delhi Daredevils has made some changes in the Auction of IPL 2019. They bought All-rounder Axar Patel and other than that they added Colin Ingram to IPL 2019 Team Squad List for 6.4cr. Shreyas Iyer, Rishabh Pant, Prithvi Shaw, Harshal Patel, Amit Mishra, Avesh Khan, Jayant Yadav, Rahul Tewatia, Manjot Kalra, Colin Munro, Chris Morris, Kagiso Rabada, Sandeep Lamichhane, Trent Bolt. CAN YOU MAIL ME LATEST VENUE SCHEDULE OF IPL. Yup sure, give me your email address, I will mail you.